1. GENERAL SCIENCE: It will cover general appreciation and understanding of science including matters of everyday observations and experience as may be expected of a well-educated person who has not made any special study of any scientific discipline. The questions shall be from topics- in Physics, Chemistry and Biology viz. Scientific Instruments, Inventions and Discoveries. Scientists and their contributions, Human Physiology, Diseases and their cause, cure and prevention, Diet and Balanced diet, Human Genetics, Animals, Mammals and Birds, Environment and Ecology, Elements and Compounds. Acids, Bases and Salts and allied subjects, Motion, Newton’s Laws of motion – Properties of Matter, Electricity, National Laboratories and other related topics. All these topics will be of basic nature. 2. 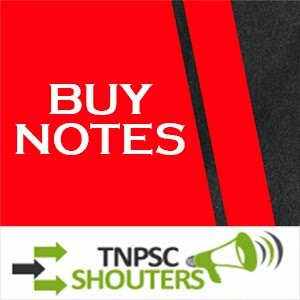 HISTORY OF INDIA: Dates and events of Indian History from Indus Valley Civilisation to the present day Indian modern administration. 3. GEOGRAPHY: Regions of India, Weather, Monsoon and Climate, Rainfall, Natural Calamities, Crops, Crops pattern, Indian Towns and Places, Hill Stations, National Parks, Major Ports, Minerals, Location of Major Industries, Forests and Wildlife, Population distribution in India and other related topics. 4. ECONOMICS AND COMMERCE: Agriculture, Major crops and crop pattern in India, Industrial Development, Major, Medium, Small Scale and Cottage Industries of Tamil Nadu Village and Rural Development in India. Housing, Drinking water and other development schemes – price policy, inflation, population and unemployment problems, imports and exports Industrial development and five year planning. 5. INDIAN POLITY: Indian Constitution, Salient Features, Citizenship, Elections, Parliament and State legislature, Executive, States, Judiciary system, Local SelfGovernments, Centre-State Relations, Language Policy and Foreign Policy. 6. 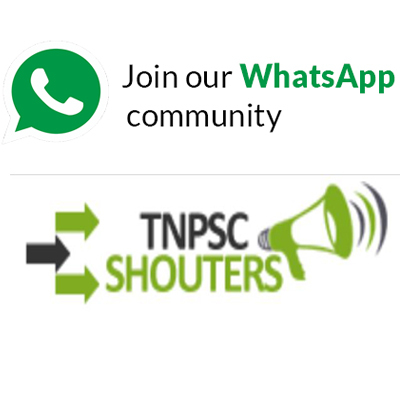 CURRENT EVENTS: Latest development in Science and technology, political developments in India, new developments in Trade, Transport and communication, historical events. Fine Arts like dance, drama, films, painting, major literary works, Games and Sports, National, International awards, National and International organizations, Abbreviations, Who is Who, Books and Authors, General Technology, India and its Neighbours, present day India and other related topics. Arts, Literature, Culture of India and Tamil Nadu. 1. LOGICAL ANALYSIS: Analysis of any information logically to find out various dimensions of the information. 2. NUMERICAL ANALYSIS: Quick response with regard to numerical ability will be tested. 3. COMMUNICATION SKILLS: Effective usage of languages will be tested. 4. INFORMATION HANDLING ABILITY: For any given information, the various aspects of the information, the inferences and connected facts will be tested. 5. MENTAL ABILITY TESTS: These tests are meant to verify the candidate’s capability to draw conclusions through, inductive or deductive reasoning. It will include elementary problems from school mathematics. 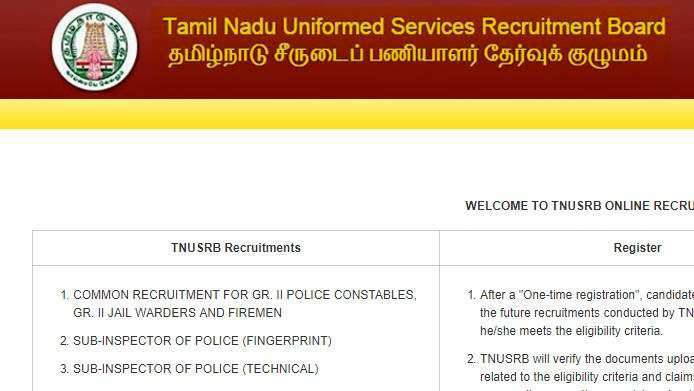 Tamil Nadu Police Recruitment 2018 Notification for 309 Sub Inspector vacancy. Applicants can fill online form for TNUSRB SI Recruitment 2018 before the last date 10.08.2018. You can also check TNUSRB Sub Inspector Advertisement Pdf from here.